The master bedroom of any home should be a place that feels calming and soothing. A place where you can retreat from the busyness and hustle and bustle of everyday life. Designing with neutral colors is a great way to create that peaceful environment. It provides the serene backdrop needed to create a relaxing space. A neutral color palette also offers the ability to add personality to any space through window treatments, fabric, furniture pieces and accessories. Take this master bedroom for example. The soothing appearance is created by using neutral paint colors and neutral fabrics. The room is far from boring though. Personality is infused throughout the room with the mirrored nightstand, lighting and bedding in addition to all the accessories. The room is just begging to be enjoyed. 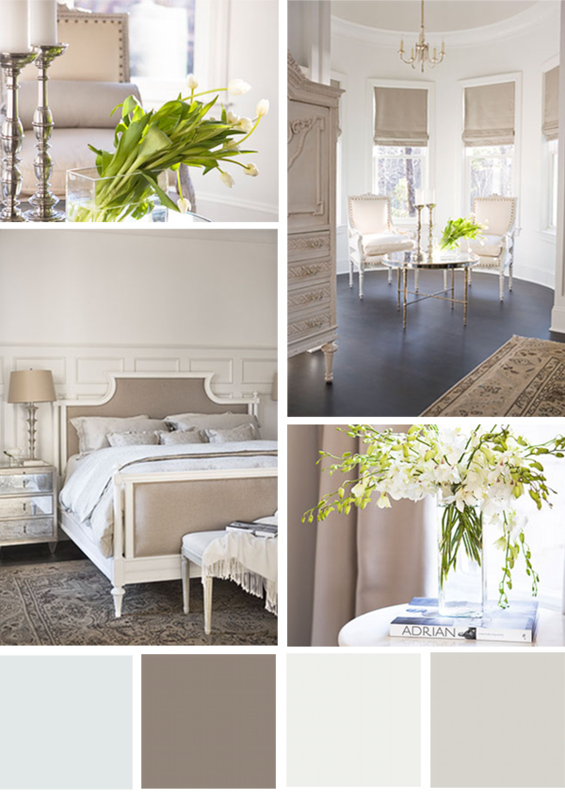 How do you feel about neutral colors? If you are afraid that neutral might be too boring, download 5 tips from our design team on how to ensure that neutral isn't boring. To see additional images from this Lake Keowee Home click here.